The Lakewood area of Dallas, Texas, is located just northeast of downtown Dallas. Lakewood, with its diversity and history is one of the most beautiful and interesting areas of Dallas, and an area where a sense of community has not been lost. 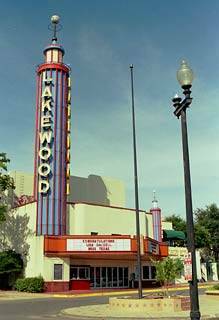 Lakewood boasts the historic Lakewood Theater, which shows classic films and hosts many contemporary musical and comedy events, and the popular Botanical Gardens. Surrounding the Lakewood Theater is an entire neighborhood of trendy restaurants, shopping venues, and historical landmarks such as the Dixie House Cafe. Situated roughly between Garland, East Dallas, and Fair Park, Lakewood is a popular settling place. It is also popular with cyclists, runners, and hikers who want easy access to the lake. Lakewood is a collection of old-fashioned neighborhoods, generally developed from the early 1900s to the 1950s. Currently, there are a large number of Historic and Conservation Districts reflecting great numbers of Craftsman, Prairie-Four Squares, Tudors, Spanish and Mediterranean Eclectic and Early Ranch homes. The homes range from two-bedroom bungalows to massive estates on acreage. Some of the older homes are being torn-down in favor of much larger homes. Real estate appreciation in the East Dallas area has almost equaled parts of California and formerly run-down areas are now more valuable than most Dallas suburbs. There are two exemplary and three recognized schools in the area. 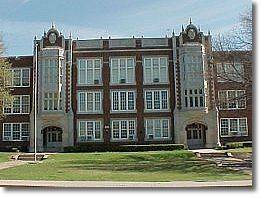 Woodrow Wilson High School (circa 1928) is probably Dallas' best known school. 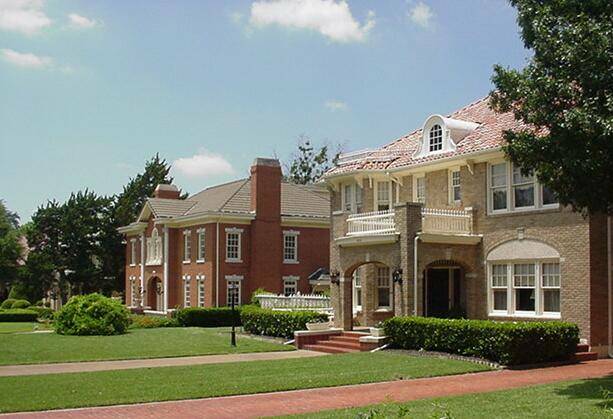 Affluent East Dallasites still support the public schools in this part of Dallas Independent School District. The Lakewood/East Dallas area has a long and significant history. When the city of Dallas was settled in the 19th century, the eastern boundary was Fitzhugh Street. Everything beyond was farmland. A large dairy farm was located in the acreage that is now White Rock Lake. Fields and country roads and bridges dotted the countryside. As more families moved to the area east of Dallas, and as railroads came to the city, the town of East Dallas was born. It had its own mayor and city council, and its own water, sewage, and road system. In 1890 all this changed when the city fathers in Dallas voted to annex East Dallas. They got this plan passed by the Texas legislature in order to increase the population of the City of Dallas. In the first three decades of the 20th century, the Lakewood/East Dallas community grew rapidly towards what is now White Rock Lake. The dam for the lake was built in 1910 after a disastrous summer drought, and White Rock Lake became not only the water supply for Dallas but also a popular recreation area. Lakewood Country Club was built in 1912 and was appropriately named at the time because it was literally way out in the country. Beautiful homes with wide streets and deep lawns were developed in the 1910s along Swiss and Gaston Avenues as country homes for many of the city's leaders and their families. About the same time Dines and Kraft Realtors developed a section of smaller homes (bungalows, etc.) in the wooded, hilly section between Abrams Road and White Rock Lake, hence the name "Lakewood". Munger Place along Junius, Reiger, Worth, and Columbia evolved with the prairie style homes that were becoming popular at that time. As the population increased, businessmen followed. The Lakewood shopping center began construction in 1926 at the convergence of five East Dallas streets (Gaston, Abrams, La Vista, Oram, and Prospect) and grew into the economic hub of the area. Major employers, such as the Ford Motor Company in 1924, opened plants to take advantage of the available source of labor and the rail lines in the area. The Dallas School District responded to the population growth by opening Lipscomb Elementary, J.L. Long Junior High and Woodrow Wilson High School in the 1920s and early 1930s. After the depression and World War II, more housing and shopping centers were built north and east of the Lakewood section, and multifamily housing sprang up west between downtown and the Munger/Swiss areas. The city continued to grow, now east of White Rock Lake and further north. The privations of the war years had caused widespread decay in many of the once exclusive neighborhoods. Many of the mansions in the Swiss Avenue neighborhood were divided into apartment units or boarding rooms. The area began to change from a community of stability and permanence to one of transience, as families gave way to tenants. The "baby boom" meant housing was needed. In the 1950s the city attempted to ease the housing shortage by rezoning large areas of homes located south of Lakewood Shopping Center for multi-family usage. Many East Dallas homeowners chose to leave the inner city for the relative security of the suburbs. In the 1960s East Dallas displayed classic symptoms of urban decay: streets and sidewalks in disrepair, nonresident landlords who let property deteriorate, upper-middle income shops replaced by thrift stores, Laundromats, liquor stores, bars and other establishments oriented toward a transient population. A turnaround began in the early 1970s. Young "Urban Pioneers" were attracted by the variety of architectural styles and the low asking prices of homes in the area. Organizations such as the Historic Preservation League and East Dallas Community Design, as well as numerous neighborhood groups, began working for change. Funds from federal and local sources became available for home purchase and improvement. Families returned to East Dallas and set down roots. As neighborhoods were transformed into stable areas of single-family homes, property values began to rise. The Historical Districts of Swiss Avenue, Munger Place, and Junius Heights were designated. Lakewood began salvaging its historical treasures, and new supermarkets, restaurants, and shops opened. Today, the Lakewood area is again Dallas's most popular area to call home.